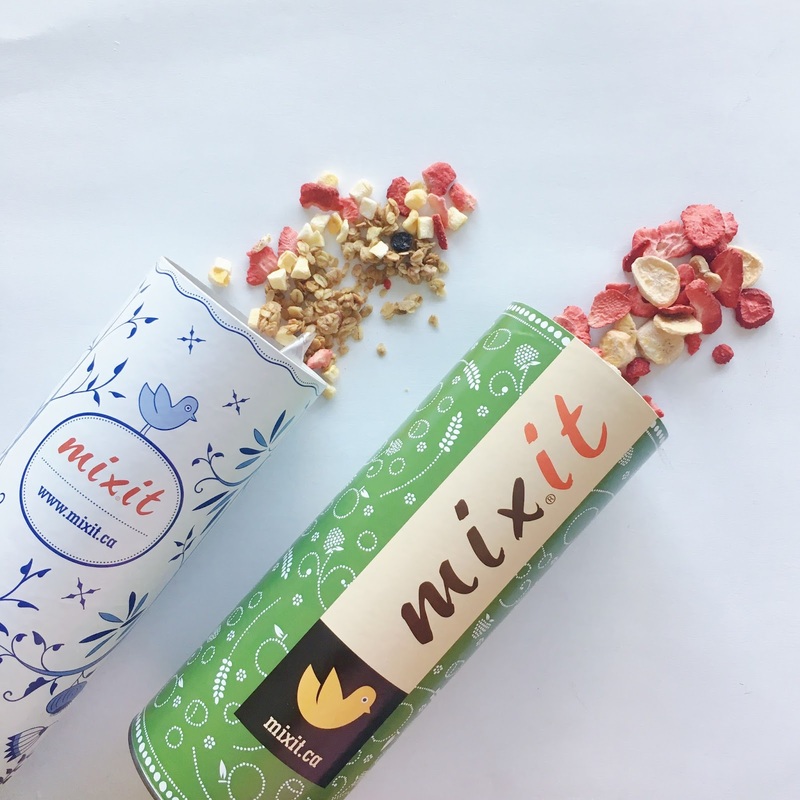 Desire-Plus-An-E: Mixit: Customize Your Granola! Whenever I go to the grocery store, the granola or trail mix that are ready made always have something that I don't like (e.g. raisins) or has something I like missing in it (e.g. dried strawberries). 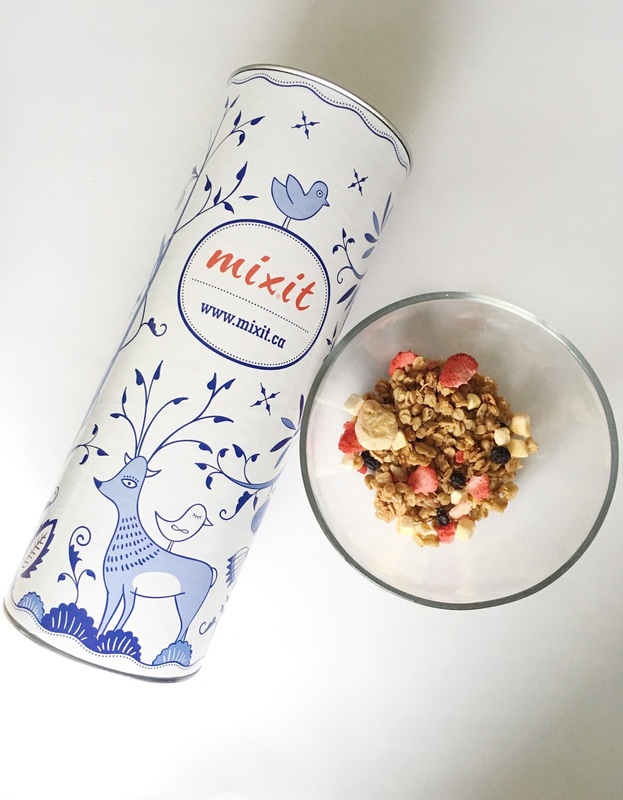 Well, all my problems are now solved with Mixit! 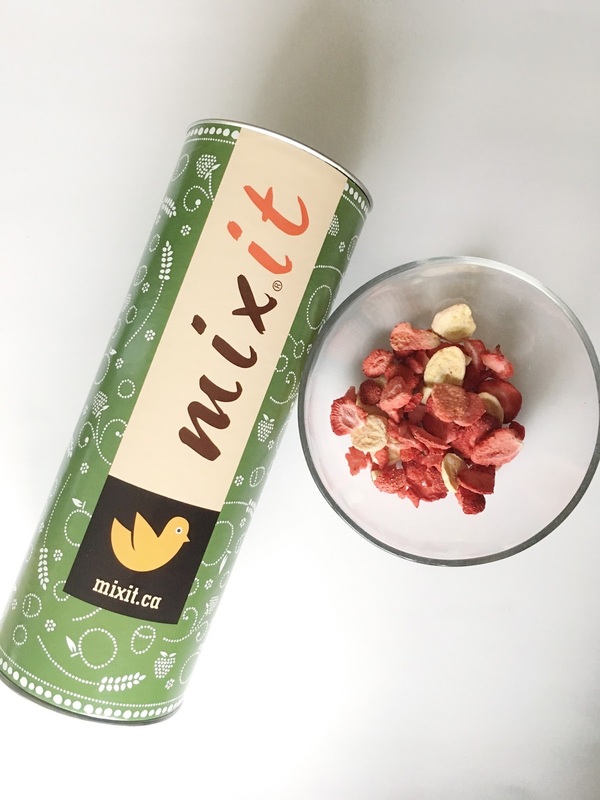 Mixit is a Canadian company located in Quebec. The owners Oldrich and Stephanie wanted to create a food option that was healthier, customized, and fun for everyone! 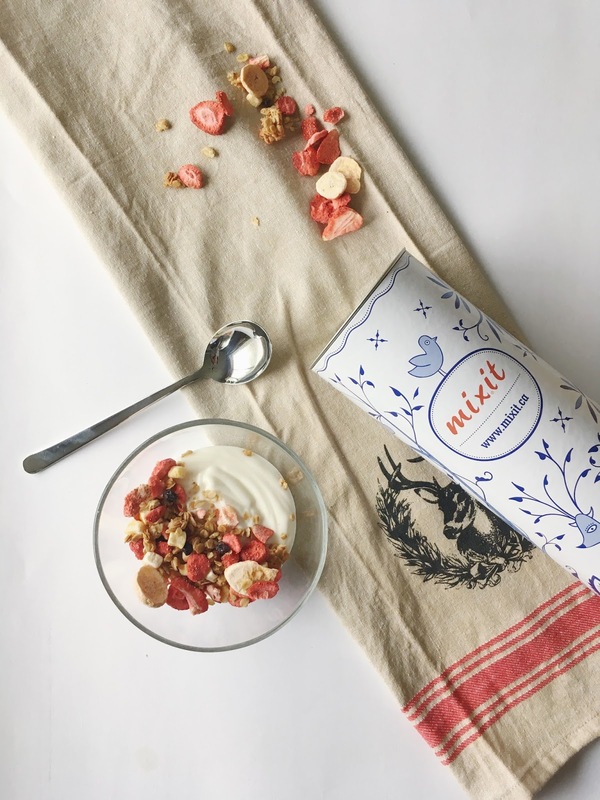 Whether it's for breakfast or a midday snack, you can choose to get their pre-made mixes or create your own by selecting from a variety of granola, dried fruits, nuts, and seeds. All the ingredients are sourced locally. 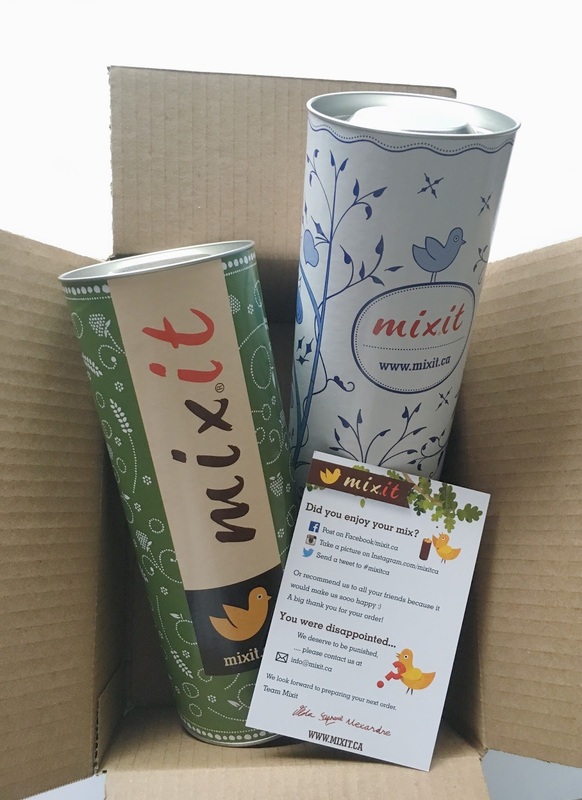 To top it all off, you get to choose the design and art of your Mixit tube as well! I got the opportunity to pick one of the pre-made mixes and to make my very own Mixit creation. 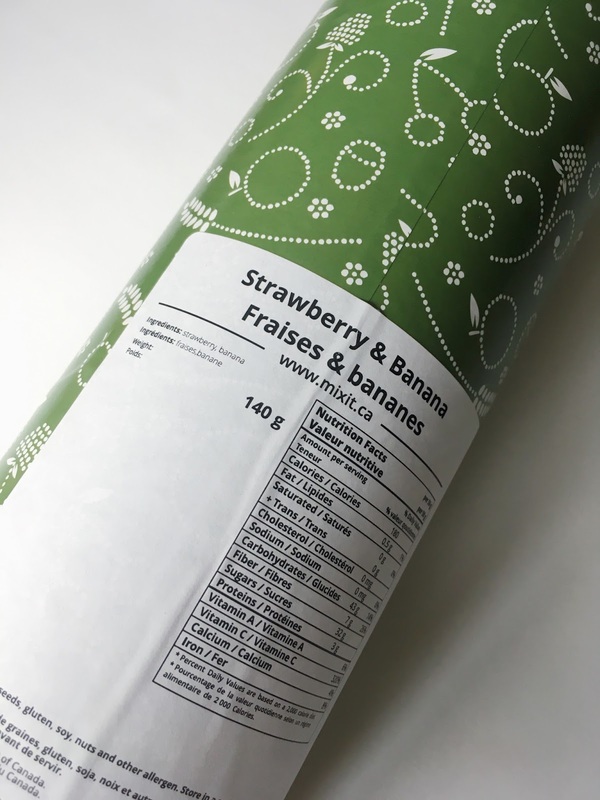 The pre-made one that I picked is Strawberry & Banana* ($18.90/tube). The strawberries are not artificially sweet, rather it tastes very realistic with a slight tangy taste. I love adding this mix to my plain cereal, it dresses it up and makes it taste even better! I had fun looking through their list of ingredients when designing my own mix. I chose all my favourite things to be in it: crunchy honey granola, strawberry, mango, blueberries, and maple syrup sunflower seeds. I picked this blue and white tube design since it reminded me of traditional Chinese chinaware. 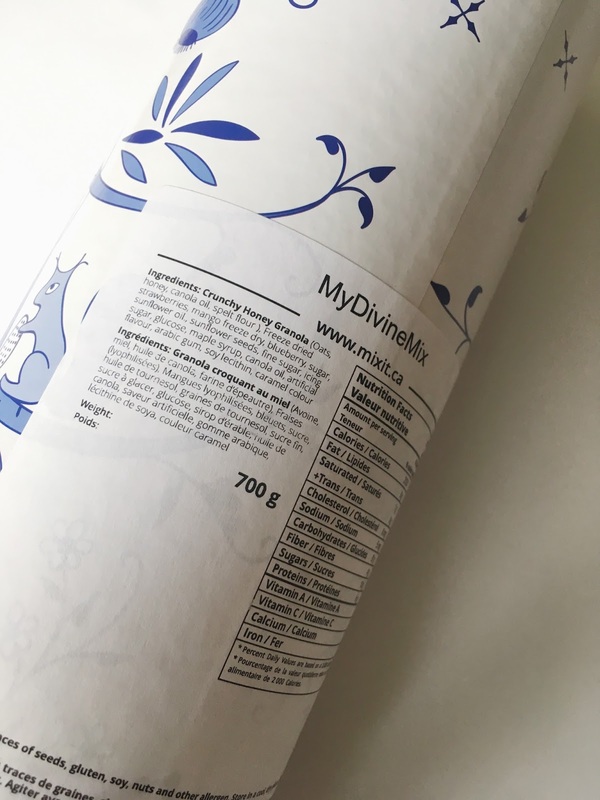 Mixit helped name my creation as "My Divine Mix"* haha. The cost is according to the ingredients you add, and for mine it would've been $16.65/tube. Next time I would skip the mango though, it didn't match well with the rest of the ingredients in my mix. 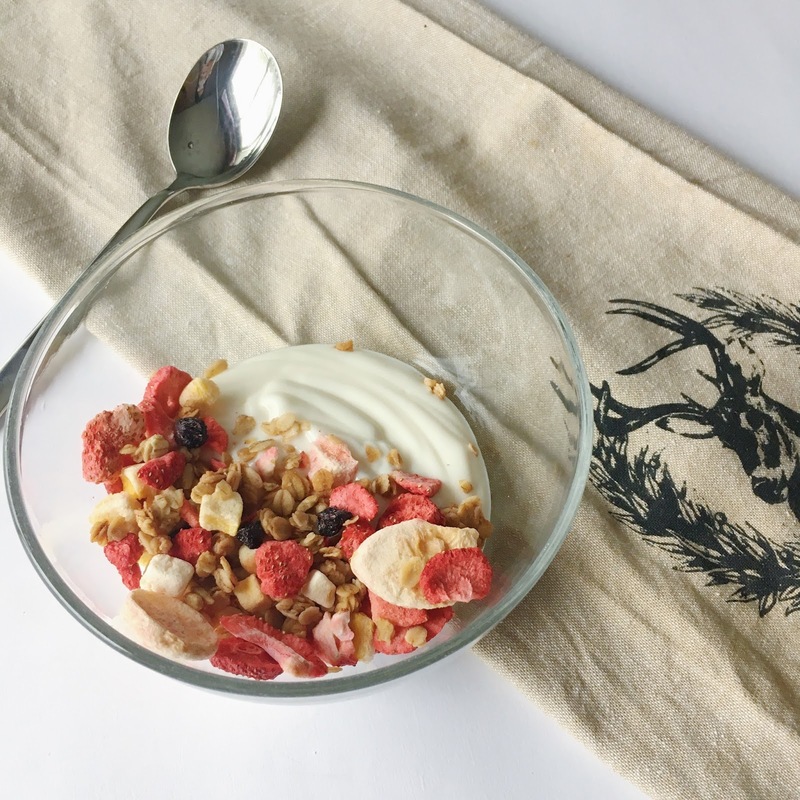 My favourite way to eat the granola and fruit is with classic vanilla yogurt... and it's a bonus if it's vanilla GREEK yogurt (yummm). I also bring the mix itself as a snack, especially for work. Another option would be to have it as cereal with milk! 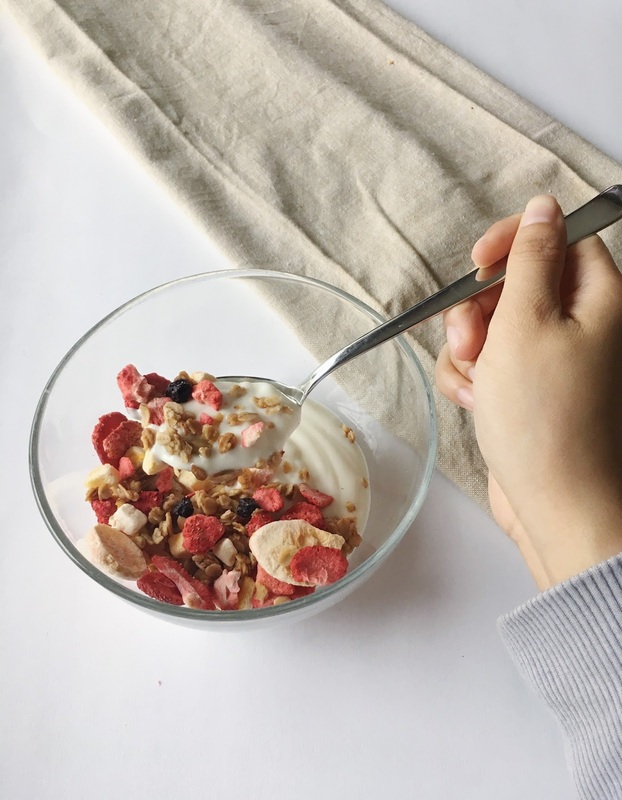 Making my own yogurt cups with the granola or having it as a snack saves me money since I'm buying less of the exact same thing at a higher cost at cafes. It's awesome that I can customize the mix too so I can try something new the next time. You get a large quantity as each tube is filled up all the way to the top. You can order your custom mix or buy a pre-made mix at their site by clicking here! It's always a pleasure to support local businesses! What do you think about this?! Will you try it? *Products were sent as PR samples for editorial consideration. All thoughts are my own and genuine.